May 12, 2019 marks the 27th running of The Willowdale Steeplechase. Situated in the heart of Chester County horse country, the Steeplechase attracts families, business leaders, social clubs, school groups and many others to spend a day enjoying racing and other activities including: seven horse races, Jack Russell Terrier Races, Kid’s Alley Activity Tent, Pony Races, an Antique Car Display, Boutique Shopping and a variety of fine and fun foods. The University of Pennsylvania School of Veterinary Medicine’s New Bolton Center, Quest Therapeutic Riding Services, Inc. and The Stroud Water Research Center. Each year the beneficiaries participate in the races by hosting interactive demonstrations in our Kid’s Alley Activity Tent. This area helps educate our guests on the impact these charities have on our local community. The Willowdale Steeplechase works with local and regional media outlets to publicize the races and our sponsors. 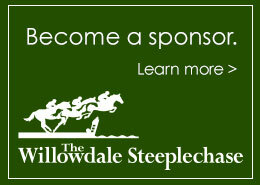 Sponsoring in The Willowdale Steeplechase is a great way to make a positive impact while realizing a significant marketing potential. The Willowdale Steeplechase is the perfect place to entertain, business partners and existing and potential clients. With a full day of family friendly activities, The Willowdale Steeplechase provides a great backdrop to showcase your business. Hospitality Tents range in size and can accommodate up to 600 people. Sponsorship packages may include any of the following: Hospitality tents, tailgate parking spaces, sponsor admission tickets, sponsor parking, advertisements and signage on the race course grounds. We can also provide visible parking spaces for promotional and demonstration vehicles. 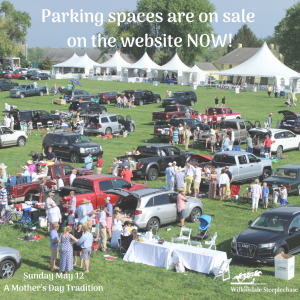 With approximately 15,000 people in attendance, The Willowdale Steeplechase is an ideal place to reach a large and varied group of active consumers, many of them high net-worth individuals. Sponsorship packages designed to raise your business’ visibility may include: Visible signage on the race course grounds, advertisement space, vendor space for demonstrations, tailgate parking spaces, sponsor tickets and parking spaces. Over 200 dedicated volunteers help make The Willowdale Steeplechase a success. The races have grown into a community supported event that benefits local charities. 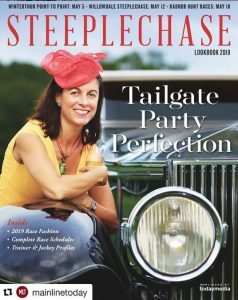 Sponsorship of the Steeplechase helps demonstrate a commitment to the community and a willingness to help promote an event that can be enjoyed by the entire family.